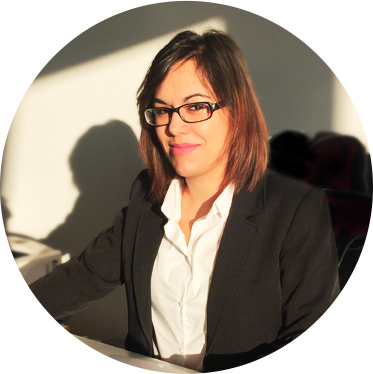 Plantex > Who are we? Plantex is a French manufacturer of top quality natural plant extracts for nutraceutical, dietary, animal nutritional and cosmetic purposes. Our commitment is to be your partner by nature, and we can offer both ready-made solutions as high fashion design. Far beyond words, our teams are driven by professionalism and passion. Our vision: to listen to you carefully and to be authentic, responsive and always offer Premium Quality. For more than 25 years, Plantex has put its expertise of plant extraction at the service of professionals users. At the crossroads between science and ancestral wisdom of the benefits of plants, Plantex combines its knowledge of plants and its production skills to meet your requirements for authentic, efficient and innovative solutions. Our extracts are manufactured at our brand new production site in Saint-Michel-sur-Orge, which enables us to guarantee their Made in France label. More than a slogan, our signature reflects Plantex’ basic company philosophy. We want to be your trusted contact in a long-term and open relationship. This implies the daily support and commitment of all our teams to propose you the best of what nature can offer and help your business to grow. We want to offer solutions tailored to your needs. In our view, only a global approach can achieve this objective, starting with the quality of the raw materials, the efficiency and authenticity of the extract, flexible production lines, responsive and attentive commercial and scientific teams, and lastly a dedicated regulatory advisory service. Last but not least, we strive to listen to you carefully and in good mood. In January 2017, we regrouped all our activites and moved to a brand new site. Our new factory was custom-built to our specifications in order to meet with the most stringent safety, hygienic and environmental standards. The site regroups all production activities, storage, R&D and the quality analysis laboratories as well as the commercial, regulatory and administrative functions under one roof, allowing for a more efficient flow management. We have also invested substantially in new production equipment and IT tools. By doing so, we have doubled our capacity at all levels. This substantial investment bears witness to our trust in the continued success of our clients and of our lasting partnership with them. The core of our business is the mastering of extraction and drying technologies of the active ingredients of plants. Plantex is renowned for the quality of its products and the flexibility of its production tool, allowing for production batches varying from 20 kg to several tonnes. Plant extraction is a complex process requiring dexterity and considerable experience to preserve the efficiency of the active ingredients to meet the effects sought by the customer. 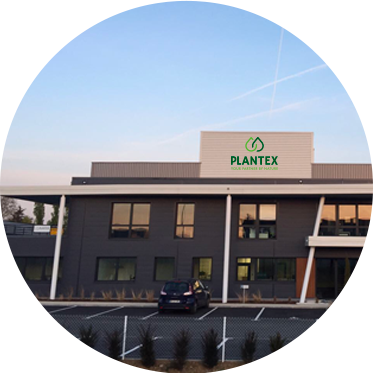 In France, PLANTEX is an important plant extractor. Since 2000, we have succesfully expanded on international markets. About 60% of our sales are exported to more than 35 countries. 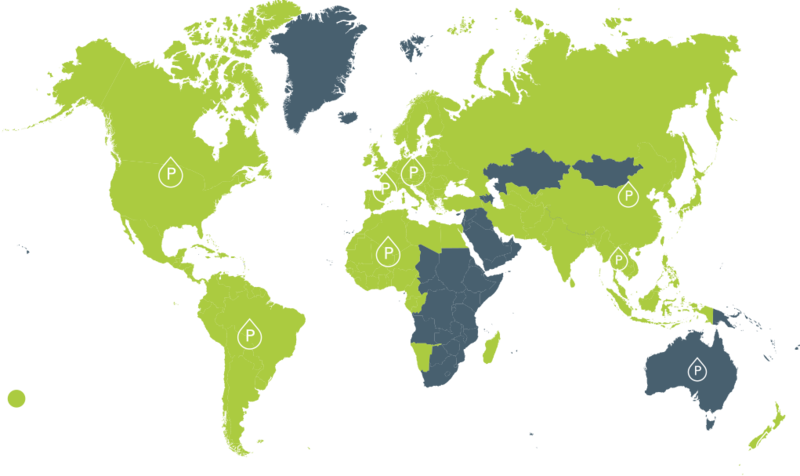 Our teams travel throughout the world to find raw materials, to meet the customer and to understand their needs. We are also present in various trade fairs throughout the world.